Zipcar is the world’s leading car sharing network with a mission to enable “simple and responsible urban living.” Available by the hour or day, Zipcar (a subsidiary of Avis Budget Group, Inc.) operates in urban areas and university campuses in more than 500 cities and towns across Austria, Canada, France, Germany, Spain, Turkey, the United Kingdom and the United States. 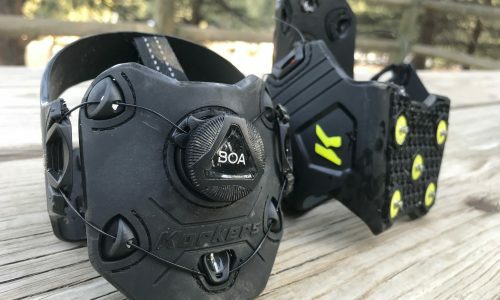 And it announced this week a partnership with rack and cargo leader Yakima Products aimed at enabling more urban dwellers with access to outdoor playgrounds while still respecting a carless or “car-light” lifestyle. 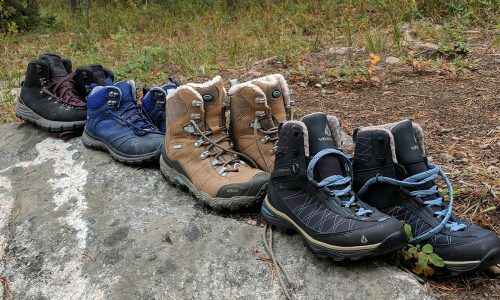 According to Outdoor Industry Association (OIA) research, 34 percent of the outdoor consumer market lives in cities, and brands have been keen to this growing number for several years. A new breen of Millennial consumers and other urbanites don’t necessarily prioritize the personal vehicle as their most important form of transportation, and many view it as nothing but a financial burden as bike lanes and public transportation continue to improve in major U.S. cities. 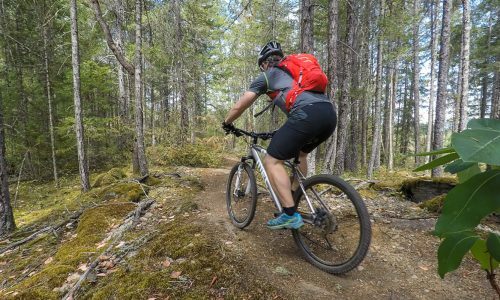 Yet urban-inspired outdoor lifestyle and close-to-home sports are booming, with more emphasis on just being outside versus going into the wilderness for days or weeks at a time. 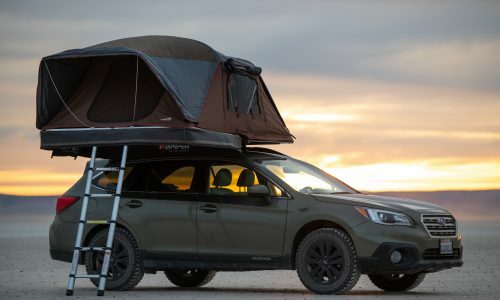 “This is a perfect partnership of two brands committed to sustainability and taking more friends whenever possible,” said Ryan Martin, Yakima CEO, in a release. Well, the good news is that brands are listening, and now SUV-impaired city dwellers just upped their chances of escaping urban life if only for a few hours as select Zipcar rentals will now be equipped with Yakima’s new StreamLine base rack system, paired with FrontLoader bike mounts, FatCat 6 ski/snowboard mounts, and SUPDawg stand up paddle/surf board mounts on more than 150 Zipcars in 17 North American markets. 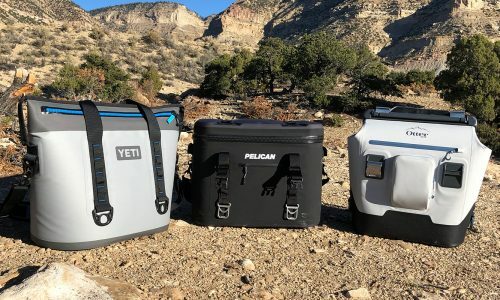 The Yakima mounts can hold two bikes, six skis or four snowboards, two surfboards or two paddleboards. 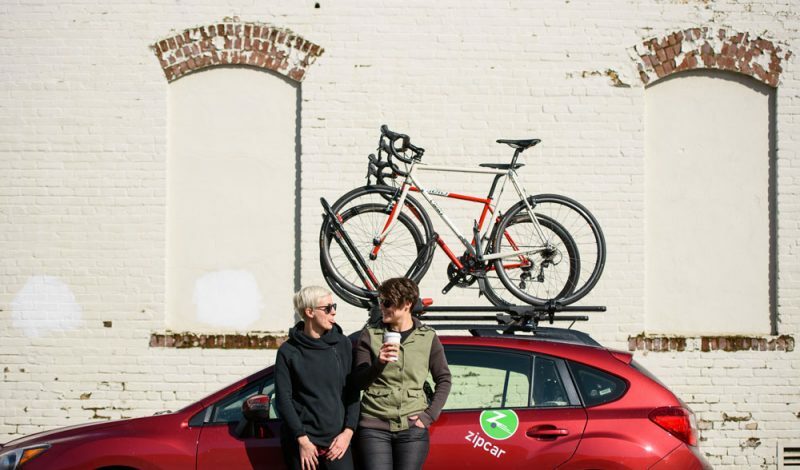 To reserve Zipcars with Yakima racks, tap “Car Model” when making a reservation and look for the Yakima logo. “From ordinary adventures to extraordinary experiences out to the mountains for a weekend trip with friends, or a day spent surfing at a secluded beach, our partnership with Yakima gives Zipsters more opportunities to engage in the active lifestyles they love,” said Zipcar Vice President of Marketing Andrew Daley. Here’s the list of initial Zipcar with Yakima markets: Atlanta; Baltimore; Boston; Chicago; Denver, CO; Houston, TX; Miami; Milwaukee, WI; Minneapolis, MN; Philadelphia; Portland, OR; Sacramento, CA; San Francisco Bay Area; Seattle; Tampa, FL; Washington DC and Vancouver. Download the mobile app from the Zipcar website.